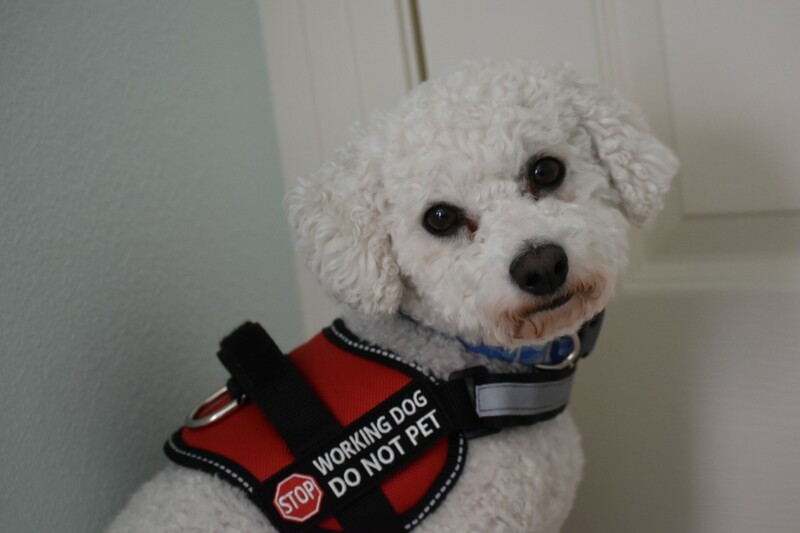 Baxter is a service dog. He helps with his teenage handler greatly! He loves his job very much. He works hard to make sure she stays safe and happy! He is a loving, kind and hard working dog. Salmon dog food, loud people.